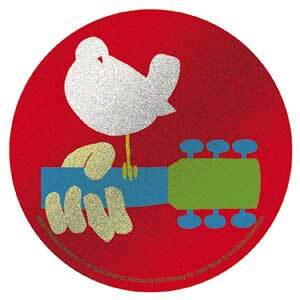 This glitter Woodstock sticker slap would look great anywhere! It measures approximately 4" round The festival that celebrated peace, love, & music, Woodstock Festival. Officially licensed Woodstock merchandise.